It's not often that I get excited about seeing "FOR IMMEDIATE RELEASE" in my in-box, but today's announcement that Assault Android Cactus (AAC) has a set release date just three weeks away put a grin on my face. In this article, I'm going to reflect a little on the kind of Early Access experience that AAC has provided. After release, I plan to write some more about the final game and its evolution, rounding out a trilogy of articles that started with an initial look at what makes Assault Android Cactus unique, written at its Early Access launch. 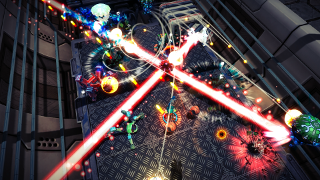 On September the 23rd, Australian developer Witchbeam will be releasing their intense sci-fi twin stick shooter Assault Android Cactus on Steam and Humble Store for Linux, Mac and Windows. The release date trailer below unveils the game's opening cutscene in which Jr Constable Cactus calmly and professionally boards the Genki Star to take command of the situation. It's hard to believe that it's been just over 2 years since Assault Android Cactus entered Early Access and gave players an opportunity to witness and give feedback on the game's development, and it's been an enormous pleasure to watch the team's efforts form what I can only describe as one of the best examples of an Early Access game done right. The developers have been approachable and responsive on the game's Steam Community Hub, to the extent that over time I've come to consider them friends. Over time, it's become clear to me that Tim, Sanatana and Jeff care greatly about Assault Android Cactus' players. Their uncompromising commitment to releasing a game that does justice to their original vision truly stands out, when at many stages during its development, AAC could have been considered strong enough to move out of Early Access. From the very beginning, AAC presented a solid gameplay experience and high level of polish across a small range of levels (7 levels plus a boss and tutorial level). Sitting alongside untextured, in-development "white box" levels, this helped set the right kind of expectations for the direction the game was headed in. Across the past two years, I can only recall three occasions where a significant bug had crept through, and with one exception, they were dealt with within a couple of days. In the current Early Access build, certain gamepads aren't mapped correctly unless the SteamOS xpad driver is present (many distros have third party packages available to bring in SteamOS xpad driver changes that haven't yet filtered upstream). The final release build includes additional gamepad profiles that the developers are hoping will resolve this for affected players. It's been fantastic to watch the way the game's levels, characters and general style have been fleshed out and fine tuned over the time. I can remember when the level selection screen was a 2D array of buttons with level names on them. Today, each zone is its own small 3D hub environment that evokes a sense of the Genki Star's size, where players guide their characters to the desired level. Levels like Assembly and Convection have evolved from visually bland explorations of gameplay into full experiences with compelling atmosphere and unique styles. Characters like Aubergine have had their combat controls tuned and adjusted over time in response to player feedback and to behave better with new level and enemy gameplay. The evolution of the game's audio has been particularly interesting, with award winning composer Jeff van Dyck (responsible for Hand of Fate's music, and had a hand in Alien: Isolation's) giving AAC's soundtrack and effects mix as much iteration, tuning and polish as the rest of the game. In particular, the recent addition of live guitar performance has been a pleasant surprise that rounds out the soundtrack well. In the final release, players will be able to look forward to several cinematic cutscenes that round out Cactus' story, four new ex modes, an additional unlockable character (whose identity is yet to be revealed), and a few bits of extra polish here and there. The soundtrack should also become available to existing Deluxe edition owners and for purchase around the same time. The big question remaining is whether or not Witchbeam's efforts be well received at the game's launch. 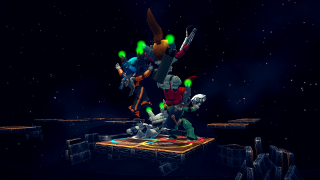 To date, Assault Android Cactus' visibility has been low, though appearances in Valve's Steam Controller trailer and at the recent PAX Prime convention, as well as the game's announcement for the Wii U console seem to be helping bring the game to the attention of wider audiences. I, for one, can't wait to see the path Cactus takes to success. 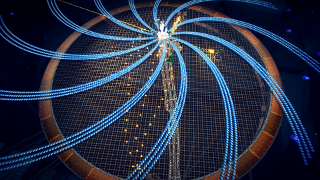 Open development and early access provides opportunities for players to become invested in a project's progress, and for developers to form meaningful connections with their players. Watching Assault Android Cactus grow has been a gratifying experience for me, and the friendships that I've formed over time with the developers are something I hold dear. After the game's release, I am aiming to write about Witchbeam's experiences with allowing players pre-release access, and how that impacted on development, which I'm hoping will give some interesting insights into the kinds of player-developer dynamics early access can provide opportunities for. 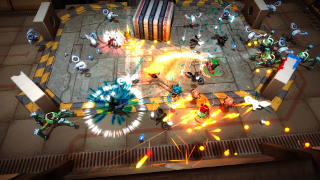 Assault Android Cactus can be pre-ordered for Linux, Mac OS and Windows via the Assault Android Cactus website (includes DRM free versions and Steam key) and Steam Early Access, with the full version launching on September 23rd 2015. For anybody interested in following development, regular posts can be found on the Assault Android Cactus website. This article was first published on the 3rd of September 2015. © 2011 - 2019 cheese of twolofbees.com, Cheeseness, @ValiantCheese. 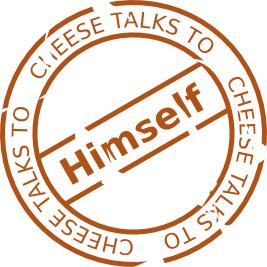 Cheese Talks is supported by these awesome people!